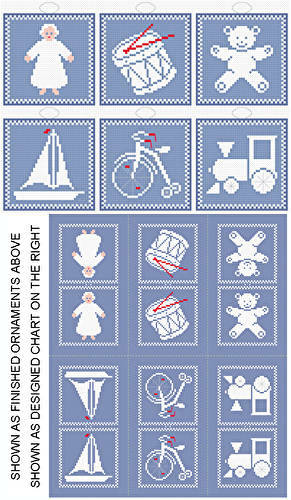 Yesteryear Toys - 6 Ornament Set cross stitch pattern... ORNAMENTS/GIFT TAGS -Designs of toys of long ago for 6 double sided ornaments mostly in white are included. Instructions for finishing as ornaments given. Whole and back stitches.